We spend a bit of time each week going through our traffic sources in Google Analytics, and also searching for Shoes of Prey on Google and Twitter to see who's been writing about us. Discussions about Shoes of Prey in forums are a great source of customer feedback, and it's great to join the conversation and answer questions. Reading blog posts and news articles gives us ideas on what's most interesting about our business from a press angle. We've also found our offline retailing and website chat to be a great source of ideas as we get to speak directly to customers. And of course this blog is an amazing source of feedback and ideas. We've been getting some good coverage this week on European blogs and we came across this post yesterday. Those images of the designed shoe next to the photograph of the shoe are better than anything we've done to promote our concept. Some of the shots highlight the photography colour issues we've been having, particularly with reds and pinks, but most of the photos and designs look great next to each other. We'll be borrowing this idea for some of our future marketing efforts - feedback in the form of other people's blog posts is great! Any interesting ways you get feedback on your business? Mailout feedback form/email accompanying all orders. 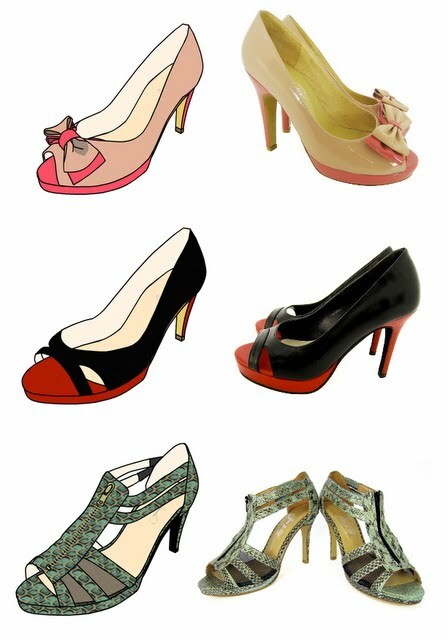 Have a draw to a frequency where appropriate with the winning entry winning a free pair of designed shoes. Your feedback will be minimal without an incentive for people to fill it out and send it back. Quite low-fi, but might be a start? Good thoughts David. Yeah, we should send a survey to our customers and provide them with an incentive to reply. Cheers. What about using Survey Monkey (http://www.surveymonkey.com) instead of a postal form - its easy and ranges in price from free to not very much! Am looking forward to getting my shoes at the end of March! Thanks Caroline. A good suggestion to use Survey Monkey to run a survey of our customers, along with offering a pair of shoes as a prize. :) We'll have to get on and do that in the not too distant future.